Our facial tissues are engineered with our patented SteriPro technology, which guarantees the highest levels of sterilization and hygiene. We have also included a brand-new feature, Cotton-In, embedding real cotton into the facial tissues for a feeling of unparalleled softness. 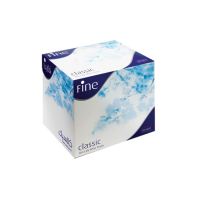 With our patented SteriPro technology; this facial tissue is both soft and sterile, and is available in different sizes. This product is available in all countries. This product is designed for low-traffic areas, and is manufactured with our patented SteriPro technology for maximum level of sterilization. This product has many variations and options based on: dimension, GSM (grams per square meter), fibers, number of plies, private label (printed), and number of sheets.